On 6 August, the international Curiosity team celebrated the rover’s fourth (Earth) year on the surface of Mars. The rover hasn’t found any green men on the red planet yet, but reports have been received of ‘Martians’ in Toulouse… Meet the atypical team at FIMOC, the French Instruments Mars Operations Centre. To task SAM and ChemCam, the French instruments on Curiosity, every other week two FIMOC engineers work on Los Angeles time, which means they start their day with the U.S. team when most of CNES’s engineers are getting ready to go home. They perform the same programming tasks and draw up the same list of software commands, then compare results. “This ‘mirror’ teamwork is vital, as there’s no room for error or we can put the mission in jeopardy. So there’s a lot of tension and we’re all really nervous those nights,” says Eric Lorigny. Today the FIMOC team comprises 10 engineers, 5 men and 5 women all between 30 and 40 years old, an age when family makes big demands on your time. A young, gender-balanced team that has forged close friendship ties and which is partly renewed every two or three years. You have to be highly motivated to accept this kind of lifestyle. 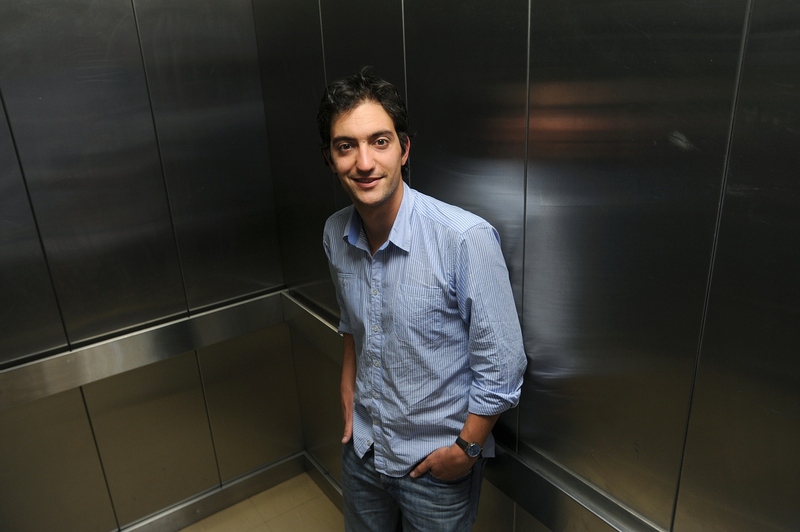 Mars has held a fascination for Eric Lorigny since childhood. But what about the rest of the team? 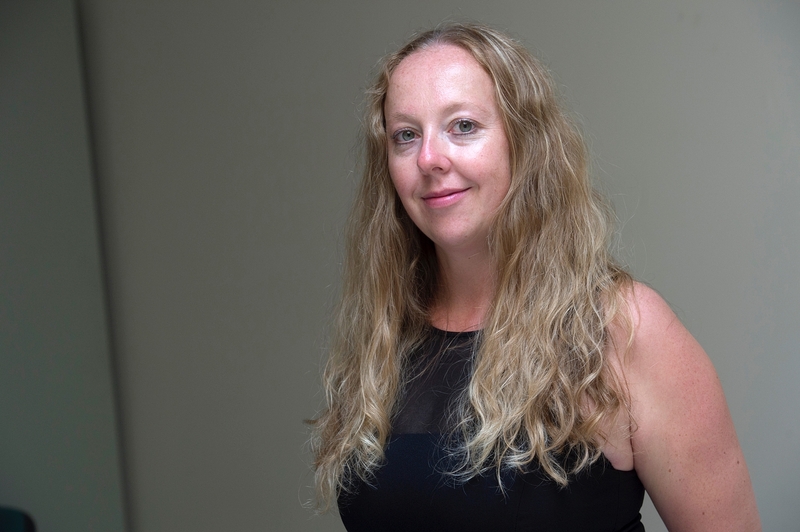 Valérie Mousset is an information systems engineer who gets a lot of satisfaction from her job at the FIMOC. She’s on the team not so much out of a fascination for Mars as for her liking for teamwork, working at night and her intellectual curiosity. Every other week with her colleagues, she spends the night tasking the operations to be performed by Curiosity’s ChemCam instrument. When they go home after a hard night’s work, all the team members need to recuperate and ‘chill out’. Some like to read. “But the next day I can’t stop myself checking up on what I did the night before. In fact, I really enjoy that feeling of anxiety,” says Valérie with a smile. “I had the profile to task and monitor ChemCam. 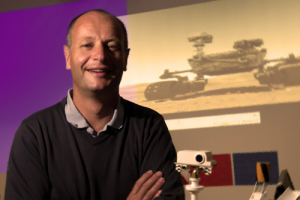 It’s a fantastic opportunity to be able to work on such an exceptional mission,” says Laurent Peret, who was on the team in 2012 that spent three months at JPL in Pasadena, California, after Curiosity had landed. Americans, Russians, Spaniards and French worked together to learn the ins and outs of the rover. “ChemCam was an innovation. We were working with a new instrument and the slightest error could have caused the rover, a jewel of technology worth $2 billion, to malfunction. There was a lot of tension and we had to take a lot of care. We were like newbies, constantly on the edge as, unlike us, most of the other teams had already worked on NASA’s previous Mars rovers. But in the end, it turned out to be a unique experience. The team was also working on Martian time, in other words at all times of the day and night. So it was exhausting but exciting,” says Laurent. The night team in Toulouse comprises 5 to 6 people: 2 engineers, 2 scientists and a technician. “It’s tiring, but I like the teamwork aspect. Working until 2 in the morning can obviously be a bit of a strain on family life, even if I am a night person.” Only his nights are a little longer than ours. 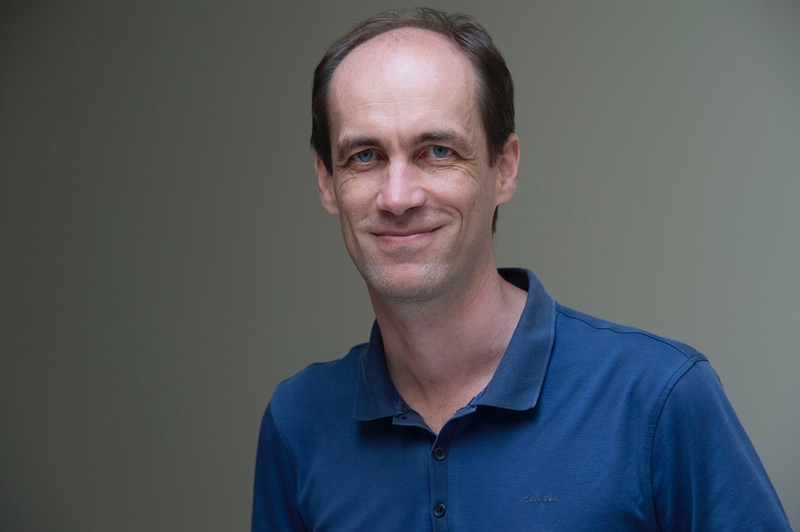 Telecoms engineer Christophe Donny was for many years part of CNES’s Telecoms team. “After years focusing on research and technology, I wanted to see the operational side of things and working on a space project appealed to me,” he explains. After starting with operations on the CoRoT mission he joined the FIMOC team. Christophe is therefore one of the initial core team that got the chance to work for three months on commissioning Curiosity with NASA. Like Laurent, he remembers it as a time of intense efforts and a most instructive experience. “We knew the instrument inside-out, but we had to gain our partners’ trust and get used to working with JPL. The Americans take decisions quickly, so it was really motivating,” he recalls fondly. Such satisfactions help to ease the stress and tiredness that go with the job: “There are days when you’re glued to your chair from 5 in the afternoon to 2 in the morning. And we can’t go home until we get the ‘go’ from NASA’s Tactical Uplink Lead signalling that operations are finished, even if we’ve completed our part of the job, as everything’s interlinked. It’s a team effort, including with the Americans,” notes Christophe. Frédérique Meunier has only been on the team a year, but she’s already found plenty at the FIMOC to satisfy her taste for operational work. With a postgraduate diploma in image processing and space technologies, she was previously in charge of the Earth remote-sensing instrument quality department. 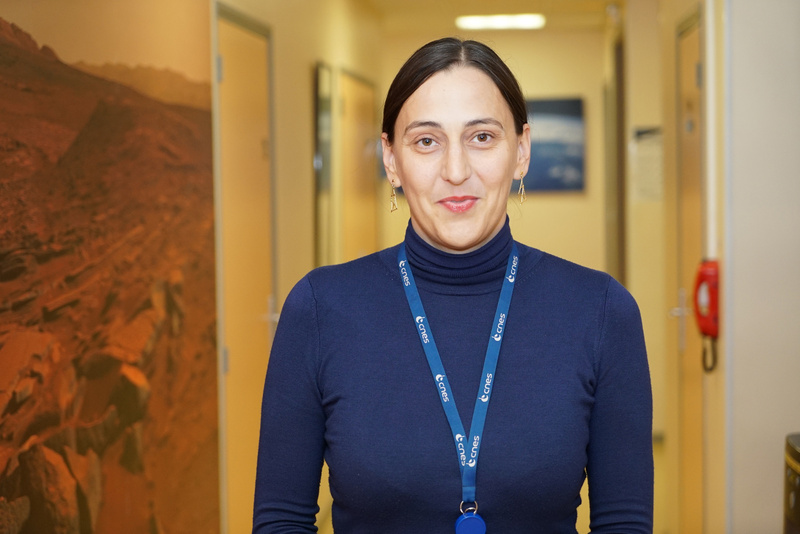 The chance to work on an international project, in English, with NASA and operate an instrument with a mission science team were the main motivations that led her to apply. “What I really like about the team is its flexibility. I was made to feel really welcome and I was able to take the time to learn the ropes. The team don’t put any pressure on me; they don’t need to, I put it on myself,” she laughs. It could be said that Charles Yana is the American of the team. This young father lives, breathes and thinks Mars. A graduate of the French national aerospace school, he spent two years in the United States to obtain a second degree on Mars dust storms, then worked as an employee of his university for a year. 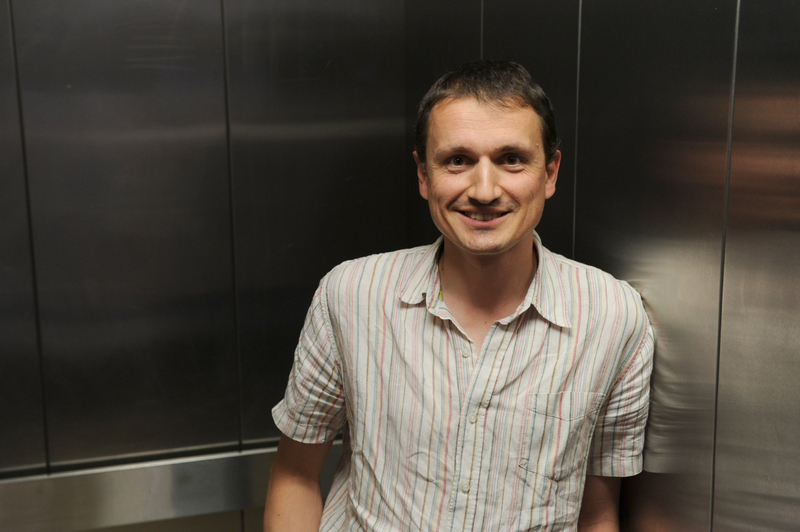 In 2010, after a few years at CNES’s Microwave sub-directorate, Charles decided to change tack completely and join Eric Lorigny to plan ChemCam operations at CNES. He moved back to the United States for six months, with his wife and six-month-old baby, to become the team’s bridgehead at JPL*. “I was happy to be working again with the Americans, with NASA, in English. We had to establish the procedures, tools and coordination of operations for the landing of Curiosity on Mars. I was trained by JPL’s teams and then I trained the FIMOC team. It was exciting to be starting from scratch, from a blank page. It was a very busy and stressful time, as we worked non-stop for three months following the Mars day/night cycle," he recalls. The enthusiasm of those U.S. years for Charles is bubbling under the surface. So would he like to go back? “For the work and NASA, you can’t beat it. I do think about that, but it’s not easy to balance work and family constraints over there, especially with young children. And at CNES we’ve got plenty to keep us motivated for quite some time, with MSL, InSight, MSL 2020 and soon ExoMars. Mars is really my thing, I’m passionate about it. I can’t see myself doing anything else,” he concludes. * The Jet Propulsion Laboratory is a federally funded research and development centre managed for NASA by Caltech in charge of NASA’s robotic space missions. Philae hadn’t yet come to rest on the surface of comet Churyumov-Gerasimenko, but Aurélie Moussi was already looking for a new adventure. And it had to be in operations. After completing her thes is in astrophysics and a two-year stint at Airbus, Aurélie had a choice to make: scientific research or industry. Her heart told her to go for CNES, not only as a bridge between research and industry, but because space was her preferred field. 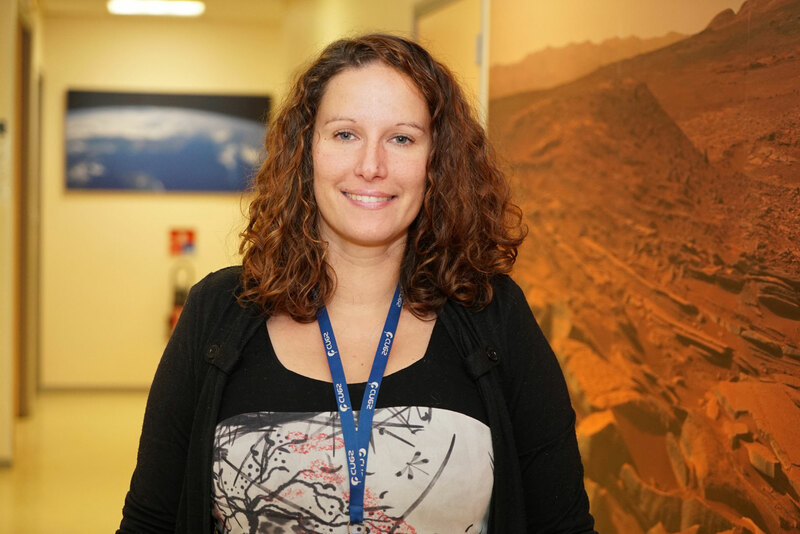 After three years working on the Rosetta mission, in January 2015 Aurélie joined the FIMOC. “I’d worked for DLR1, ESA2 and DGA3, and now I was being offered JPL4! How could I turn it down? It’s a pretty special job. It’s not often you get such fast feedback in operations work. Starting from scratch and seeing the result the same day, virtually in real time, is the spice that really makes the job so exciting. For most operational tasks, you often have to wait up to a week,” she explains. Several members of the team are also fortunate to be working on different projects. Aurélie is working on MSL and InSight, and is soon set to work on MASCOT, the tiny lander that Japan’s Hayabusa-2 mission will release onto the surface of asteroid Ryugu in 2018. “Working on several projects at a time is very positive, as we can really make full use of the skills we’ve acquired. It also benefits the team, as we get plenty of variety from working on MSL,” she says. Aurélie also likes the gender balance in the team. “I like that male-female balance, which is a rare thing, and the different personalities thanks to which the team works well together.” Asked if her job ever interferes with her personal life, Aurélie doesn’t hesitate a second: “I have a wonderful husband. We simply plan things so that I’m on night shifts when he’s away on business.” It couldn’t be simpler. 4 The Jet Propulsion Laboratory is a federally funded research and development centre managed for NASA by Caltech in charge of NASA’s robotic space missions. “I try to keep a level head!” says Agnès Jullien, currently an engineer on the FIMOC team. That’s how she defines what’s shaped her career path. “I was range safety officer at the Guiana Space Centre at the age of 28. I was the one who had to press the launcher destruct button if necessary. That’s quite a weight on your shoulders, but it didn’t prevent me from moving on to something with much less responsibility for my next job." After graduating with a master’s degree in material sciences from the IPSA aerospace engineering school and another master’s degree from the French national aerospace school ENSAE and the French national aeronautical engineering school ENSICA, Agnès got her career off to a fast start. She took up a voluntary post while an intern at the Guiana Space Centre for Soyuz, where she was hired to work in range safety before the end of her mission. After six years in French Guiana, she felt it was time to seek pastures new. “I need a challenge to motivate me. When you know your job inside-out and you no longer feel any stress at all, that’s when you make mistakes and it’s time to move on,” she says. So, she decided to go off on a tangent in search of a new adventure. 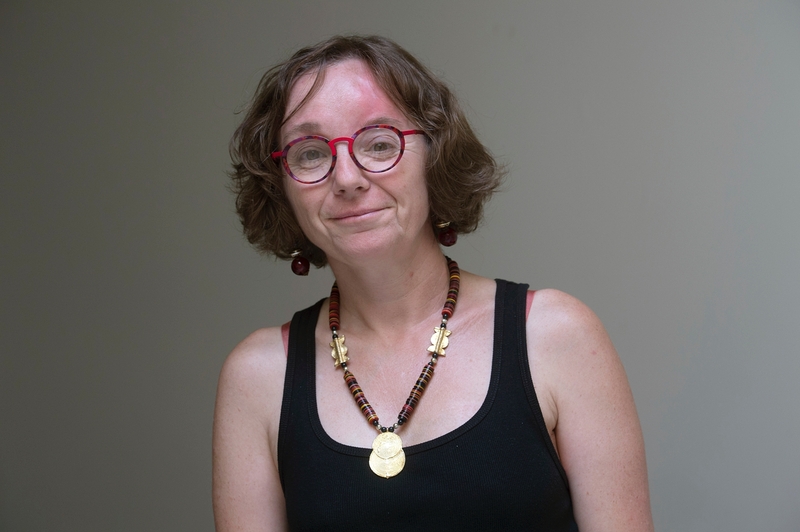 Agnès joined the ATV team in 2012, where she worked with scientists in operations. “That creates a closely-knit team, which I love,” she says. After launchers and satellites, she then turned her attention to onboard systems at the FIMOC. Today she divides her time equally between MSL and InSight. Agnès finds this mission confirms what she’s already experienced: “Your ability to handle stress depends largely on how well you know your job. The more at ease you are, the easier it is to handle,” she concludes confidently. That brings us to the end of our profile of the FIMOC team. We’ll be back with more profiles soon! The French Instruments Mars Operations Centre assists engineers, technicians and scientists at CNES and research laboratories working on the MSL mission in operating the ChemCam and SAM-GC instruments on the Curiosity rover, which has been driving on the surface of Mars since August 2012. The FIMOC team monitors and tasks the instruments, and retrieves and processes science data.